Better water starts with a complimentary home water test from RainSoft for your home in the Nashville, Tennessee area. A longtime leader in the water treatment industry, RainSoft knows how important it is for you to enjoy a fresh-tasting drink right from the tap, the luxurious feeling of just-washed hair that’s soft to the touch, and the velvety clean texture of freshly cleaned clothes. That’s why we’re willing to help you identify the source of problems that could be preventing the full enjoyment of your water by testing it in your home at no cost to you. Once your water problems have been identified, you can rest assured that RainSoft has the best water treatment solutions to meet your needs. Our systems have been Tested and Certified by the Water Quality Association, and they also carry a Limited Lifetime Warranty. That gives you confidence that your water treatment system from RainSoft is the last one you will ever need to buy as long as you own your home. 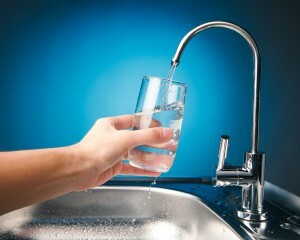 Contact RainSoft today to schedule your complimentary home water test in Nashville, TN, or a neighboring community.